A recent study showed that more than anything else, people die in the name of religion. It is so surprising to note that more than any kind of natural calamity, it is the sword of religion which takes the lives of fellow humans! Every sect is busy vilifying the other. Everyone is hundred and one percent sure that they are surely the ones chosen for the reward hereafter, the juicy fruits of the paradise or the cool, sweet water of the eternal streams that flow there. And the other sects are labeled as fallen, kafirs or heathens. The same story goes on and on and on, though the languages and the versions may vary. Naturally, a question arises in our minds. Why did God, the All-Merciful, Benevolent creator go on with such a disastrous plan of destroying His best creation? And that too, in his name? To find out the answers I decided to do a more in-depth study of the world major religions. Astonishingly, they speak the same truth! Of course each according to their own time, region and the circumstances. I am not providing the references here as it shall increase the volume of this post unnecessarily. I shall be posting the references in my later posts. But in a nutshell, every religion has the following key points. •There is always a promised Messiah or the latest advent whose signs are said in all the scriptures like codes. That latest advent shall unify all the sects as we understand by doing a comparative study on all the scriptures. •All the scriptures of all the religions teach us to love, peace, and tolerance. Confusions arise due to lack of understanding and often misinterpretations. Often a single verse is picked up without the context and is manipulated and presented distortedly to the common mass. This creates a veil over the understanding and severely affects the religion. People who present the religious talks, those who claim to be the preachers most often twist the sayings of the scripture in some crooked way which creates a negative impression to the mass. And not many go back to crosscheck the speeches of these crooked religious preachers. Hence this vicious cycle of brainwashing continues and blind faith blinds the understanding. Faith when backed by logic and reasoning, becomes a wonderful resource but the same faith when devoid of reason becomes the blind faith which is deadly both to him and his immediate environment. Let us go back to our scriptures, see for ourselves what is written over there without any intermediary or manipulator in other terms. Let’s try to grasp the word of God as it is, establishing a one-to-one contact with God! I strongly believe that world can undoubtedly be changed to a better place if we fix the misinterpretations of these scriptures which are undoubtedly the most influential books on the face of the earth. If we can grasp and apply the learning of the scriptures in our day to day lives, I firmly believe that the paradise can be verily brought down on the earth itself! This entry was posted in Buddhism, christianity, hinduism, inspirational, islam, religion, spirituality, Universal religion on October 17, 2017 by Dr. Kritiranjan Nath Anurag. 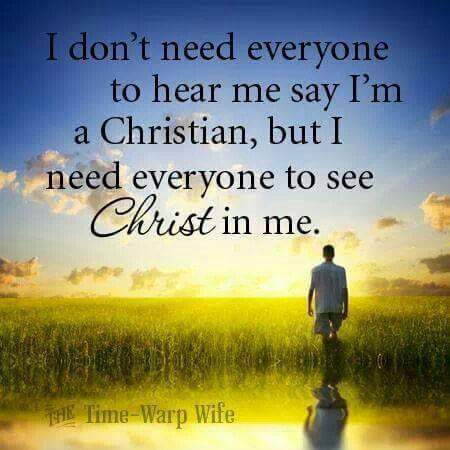 WORLD NEEDS CHRISTS AND LIVING BIBLES! I have deliberately used the term “Christs” in the title, although the scriptures and history speak of only one. Jesus, the Christ, the savior and the messiah. If we closely observe the relevant scriptures of the major religions around the globe, we would find that the undistorted form of Christ and all the great teachers of the world have actually spoken the Same universal truth of life and growth, the eternal journey of being and becoming. I have emphasized the word “undistorted” here. As I think, the sole problem in the spiritual world lies in the distortion and misinterpretation of the scriptures. Many people consider Jesus as God incarnate, the infinite Almighty walking in a finite form. Some others consider Him a messenger Of God. Some others call him a great teacher of humanity. As a whole, it hardly matters what we think of him, but the only thing which matters is how much do we sincerely follow him. How much do we carry Him in our lives, in our daily activities. Christ means the “annointed one”. He is the savior. To follow Him is to follow God. But today, I think there has arisen a time for introspection. To look back into what we have achieved. If we have tried even a little to imbibe Christ in our daily lives, His attributes will be normally seen in our character. If Christ’ s words do not find our bodies, those words will hardly make any change in the world. No matter, how much charity work is carried out all over the globe. Every great teacher of humanity has spoken of the same truth. They have all carried the message of the Supreme Being, the Almighty and have glorified Him throughout their lives. They did not come in this world to create sectarian boundaries or narrow religious organizations. It is but we, the ignorant followers, who create boundaries. We create sects, we divide the people in Christ’s name. Christ means the anointed one, as I have already said. Christ and all the great souls descend to earth for the whole world and not for a particular organization. Hence, all the great teachers of the world can be called Christs. They have all carried the message of God. To differentiate or discriminate between them is a heinous act. The same message is carried over and over again each time according to the time, place and the circumstances. The religions of the east like Hinduism and Buddhism hold a very scientific belief of Avatarvaad or theory of succession of prophets. The Hindus believe that God the Almighty sends His message for humanity through the anointed beings or Avatars. For westerners, consider Avatar to be the Prophet or what we call Navi in the middle east. The Hindus believe that the same spirit travels through Many forms. Though the physical forms may vary, but the truth is always the one. Sri Rama, Sri Krishna, Parsurama are among the avatars of the Hinduism. Why did I call this doctrine of Avatarvaad as scientific? Because as we can see, Sri Rama and Sri Krishna are not considered as different entities,but rather the same spirit in different forms! Likewise there are ten avatars (major) in Hinduism. It’s a fact that Lord Buddha,the propagator and pivotal figure of Buddhism is also considered as an Avatar of Vishnu! In this way, normally, there lies exactly no place of communal tension between the two sects! 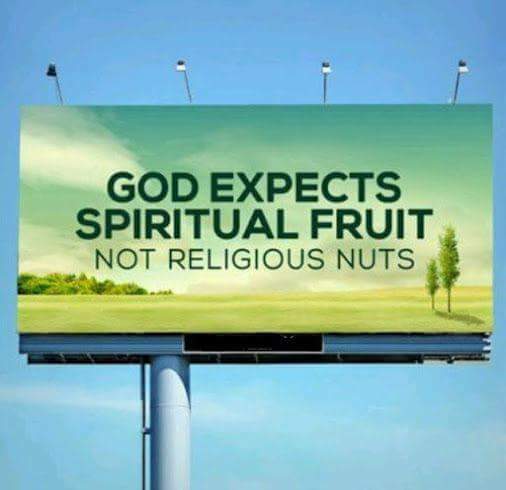 All the spiritual men are truly religious people. Devoid of narrow mindedness, devoid of any hatred towards any other sectarian followers. Irrespective of the sect they belong to, they all are walking on the path of God. All of the avatars are Christs. To defy any one of them is to defy all. The world today, needs more Christ like men. Those men who have manifested Christ in their nature, behavior, words and actions. It is by taking refuge to these Christ like men, the world may take a breath of relief. Let us all strive towards being the Bible ourselves by carrying out the words of scriptures in our very character. Because, instead of simply reading the Bible, it would be more good to us and to the world at large if we could turn ourselves onto Living Bibles! That would surely make a change for good. Images from this facebook page. This entry was posted in bible, christianity, hinduism, prayers, religion, spirituality, Universal religion, world teachers and tagged Buddhism on February 1, 2017 by Dr. Kritiranjan Nath Anurag.